Visit The Chocolate House in Dunster! The Chocolate House in Dunster is the main retail outlet for Nutcombe Chocolates of Minehead. Dunster is a lovely place to visit and the shop is the place buy our handmade chocolates and a range of interesting local gifts. The cosy cafe is the ideal place to indulge yourself with hot chocolates, teas, coffees and cold drinks and ice creams, not to mention some of Lorna’s homemade cakes. We opened The Chocolate House in 2009 and five years just flew by! As the end of our lease approached in 2014 we felt we were ready for a change. Although we thoroughly enjoyed our time in The Chocolate House and made lots of friends among our customers and the residents and traders in the lovely village of Dunster we decided to have a break from the retail world but continued to supply the network of stockists in the Exmoor and Somerset area. We were very, very pleased that The Chocolate House was not going to close and in fact it carried on in a very similar vein under the ownership of our friend Wendy Wilkins who took over at the beginning of June 2014. Regulars, including the many who have become annual visitors, have nothing to worry about. She continues to be our primary outlet in the area so our full range of chocolates are available and she also continues with the cafe. 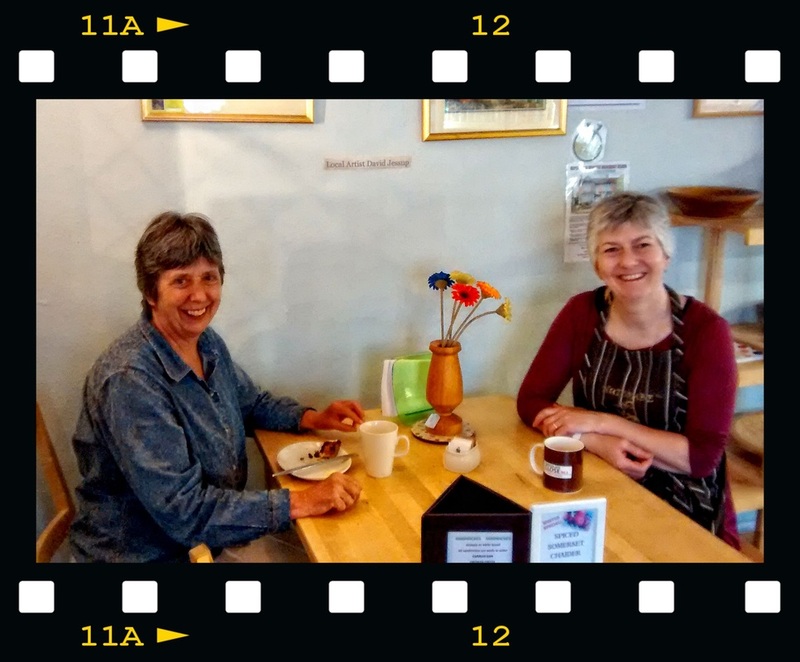 She has added her own touches and she brought with her some of the art and crafts she had in The Peregrine Art Cafe that she ran in Bampton. We pop in and out with stock on a regular basis so there's every chance our regulars will still bump into us! Wendy and Lorna discussing cakes! 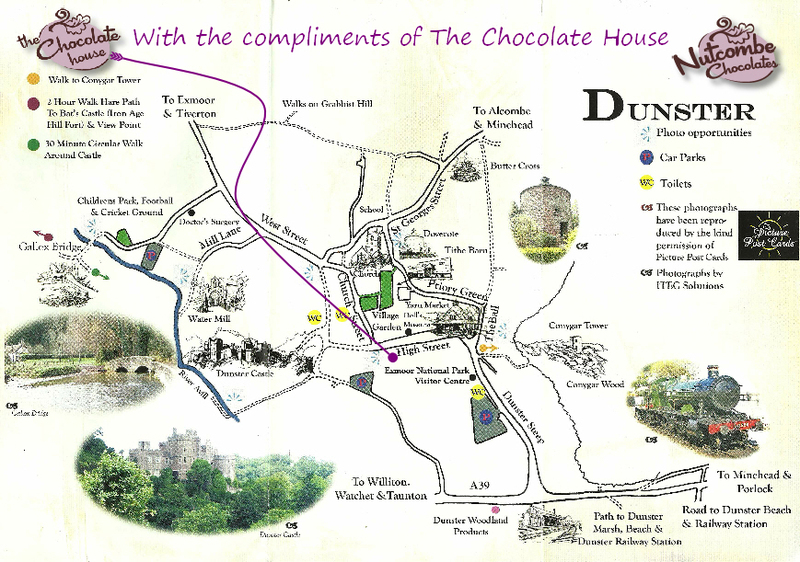 Map of Dunster showing the location of The Chocolate House! Hot and cold drinks and home made cakes abound!